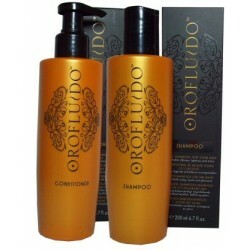 Orofluido - Just Beauty Products, Inc.
Orofluido There are 7 products. Orofluido Shampo & Conditioner. Three organic natural oils (Argan , Cyperus and Linseed Oil) in a formula with a pleasant, silky texture. the delicious amber fragrance with a vanilla foundation will tranport you into a fascinating world of oriental perfume. 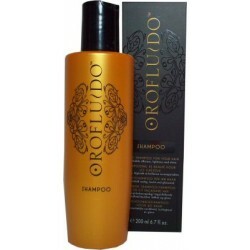 Orofluido Beauty Elixir for your Hair 100ml/3.38oz. 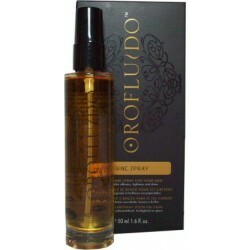 OROFLUIDO BEAUTY ELIXIR Orofluido has been rated better than any Argan Oil on the market including Moroccan Oil. In Fact it is referred to as an elixir because it contains 3 different oils, not just Argan Oil. This your beauty stop's top rated elixir (oil) and we recommended it highly! 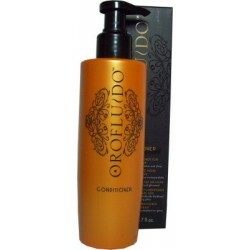 Orofluido Conditioner. It is the daily rinse-out beauty balm for all hair types. An Exquisite mixture of 3 natural oils that form the pyramid of beauty Argan Oil, Cyperus Oil and Linseed Oil. Orofluido Shampo. Three organic natural oils (Argan , Cyperus and Linseed Oil) in a formula with a pleasant, silky texture. the delicious amber fragrance with a vanilla foundation will tranport you into a fascinating world of oriental perfume. 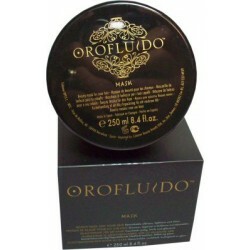 Orofluido mask is the rinse-out beauty treatment for al hair tyoes with an moisturizing and profound repairing action. A pure luxuriance that envelops the hair. Beauty shine spray for all hair types that gives your hair an incredible luminosity of pure gold, extraordinary silkness and control. Its light texture allows for a rapid absorption without weighing down your hair.